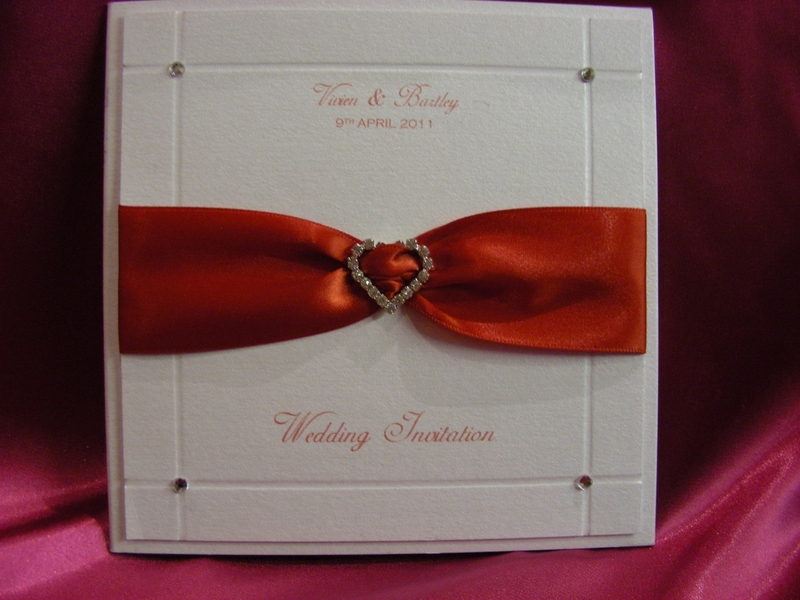 This is my signature card, Tatyana is a simple and elegant stationery range. 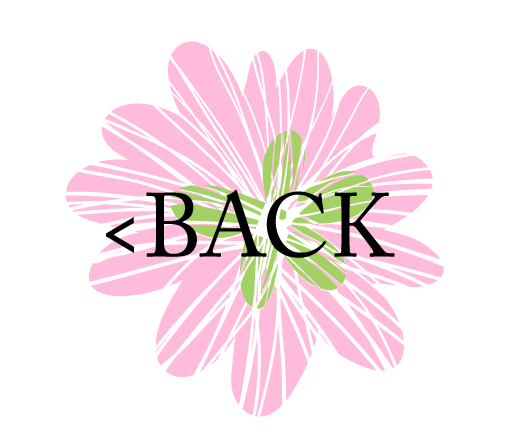 The ribbon colour can be change to suit as can the embellishment.. 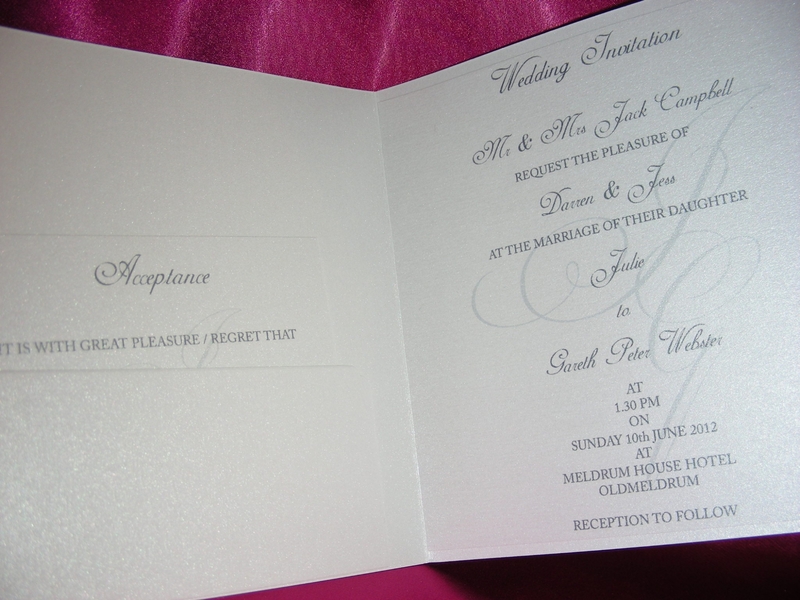 The daytime invitation comes complete with inside pocket for all your RSVP, Guest Information cards etc. 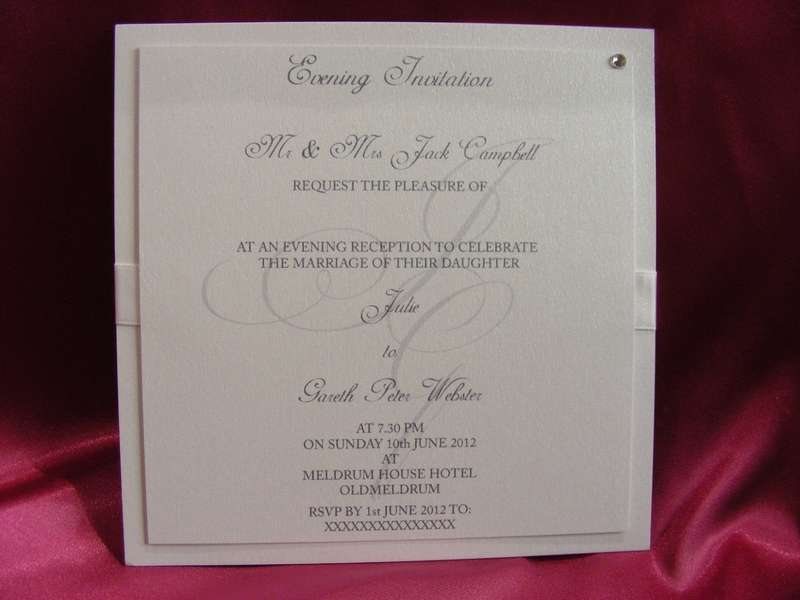 An absolutely stunning wedding stationery collection in crisp white notes. 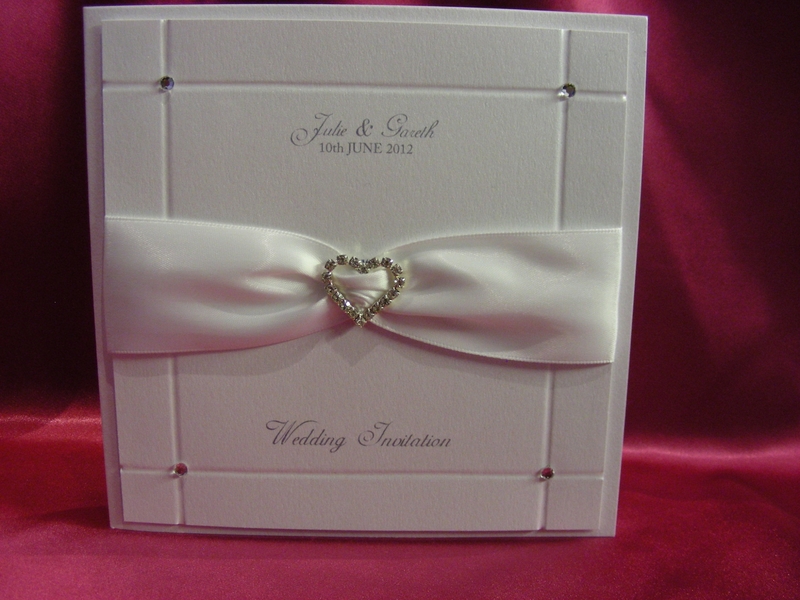 The beautiful double satin white ribbon is held in the middle with the most gorgeous and stunnigly twinkly crystal heart. These crystals are mirrored in each corner with a beautiful crisp twinkling stone.